I was back in Melbourne for my last visit before I head overseas to London. It was great seeing my family and a few friends, but it was a trip to my old athletics club - Waverley Little Athletics - that was a real highlight for me. I had just flown in on the red-eye from Korea, but still had a training session to do so thought it a good opportunity to head back down. I love running on the grass there, too. After a reasonably good session, I found the lack of sleep from the night before creeping up on me like a hungry feral cat - ready to pounce at any moment my guard was down. I decided to just sit on the bend in about lane four and think about what this place meant to me. I have no doubt that the fatigue that was slowly taking its grasp was having an impact, but I found myself in quite a profound state where I was taken back to the days where my love for athletics began. I had to fight back tears as I remembered what it was like back when Zooper Doopers were 20 cents, when I ran in bare feet whenever I was allowed, and when I couldn't wait until 9am Saturday morning. I remember my Dad, bless his heart, who became the club president because of my involvement in athletics through my youth - always there, with words of support, or to chastise us when we went 'missing'. I remember going 'missing'. It always seemed to be around the time when the 800s were on, for some strange reason. Little Aths was always about mass participation, but TWO laps? You're kidding yourself Dad. I remember the walks. 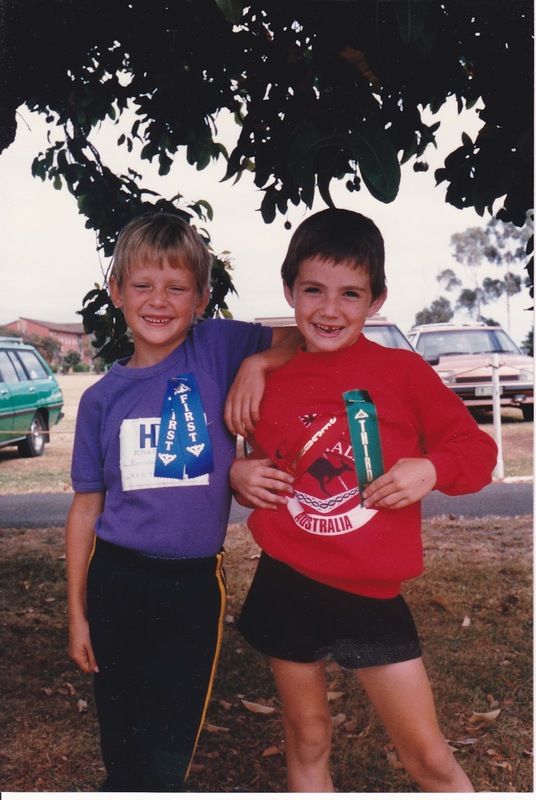 Simon and I always used to get in trouble because we would take our Walkmans on the track whilst we raced. That's right, I said Walkmans. 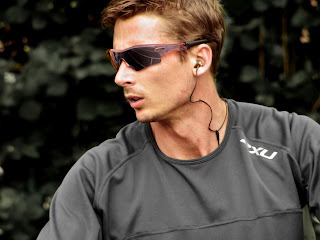 We would walk alongside each other with one earphone each from the tape player, listening to Nirvana or Offspring and bopping away (with flawless technique of course). It was all about getting enough points on your card so that at the end of the year you got a gold sticker for each of the disciplines. I remember my first ever state medal. It was the under 11 100m, and I wasn't expected to do that well, and with good reason. 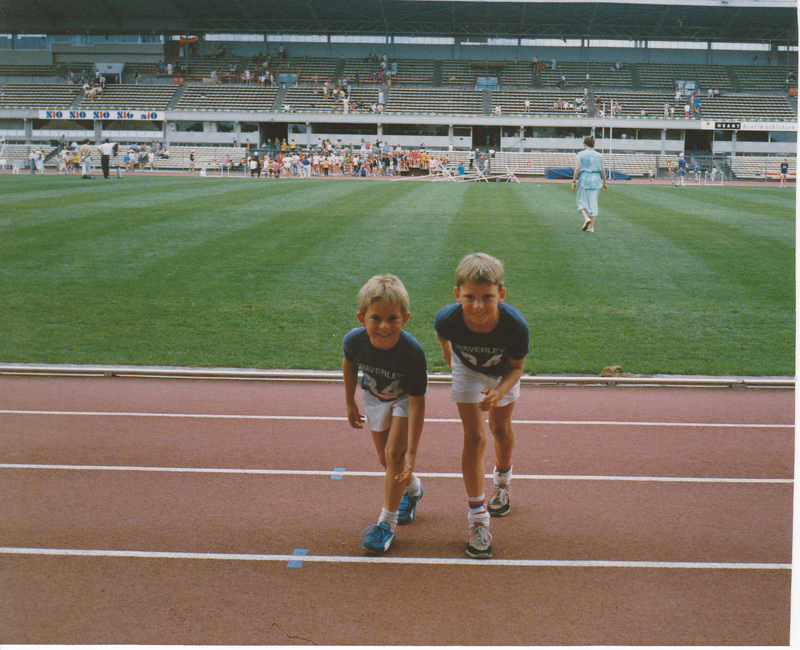 I clearly false started, but those were the days when you just ran, so ran I did and only got beaten by one other kid. I felt a bit bad, but I had just made a national championships, so bugger it! I didn't do so well at Nationals, though. Haha. 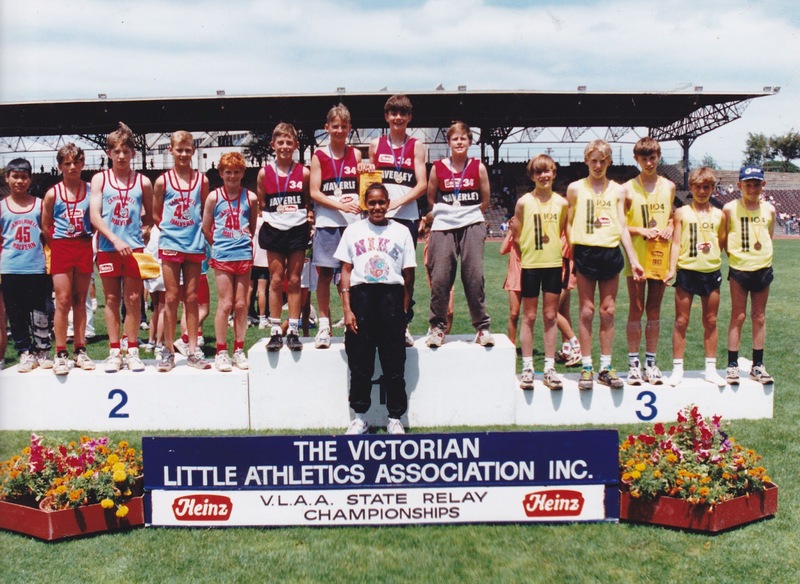 I remember the girls of Little Aths. In under 14 and 15 this was my first real exposure to girls who were fit and somewhat developed. Monica and Emma were the two that us boys were after. Emma and I went out for an eternity of 3 weeks and I think my first ever poem that I wrote was to Monica. The first line vaguely resembled 'I think I love you, but I can't be sure...' standard 14 year old musings. At the end of the year we would have fights with shaving cream and water bombs. You'd run away from the girls, but something held you back just a little in the hope that they would catch you and smear having cream all over you. The cream would clean off, but the memories remain. Lets just say I think I got to second base with Monica on one of those fight days. I remember Pete and Sim. My two best mates in the world from under 7s. Pete was Simon's best man last year, and I watched proudly as a groomsman - these blokes remain two of my best and certainly my oldest friends today. Every week without question after aths finished we'd be back at Simon's place close by and scheduling our afternoon of shenanigans. Always on our bikes, we'd be off creating mischief and adventures until dark. Or until one of us got hurt. Or hungry. Both happened quite often. I remember Melbourne Olympic Park. Hallowed ground for any Victorian track and field athlete, and where dreams were lost and found (thank you again, Eddie McGuire and Collingwood, for taking that away.) God knows how we had the energy, but we always used to be found on the steep grassy hills, behind the back straight grandstand. We'd find cardboard from somewhere and surf our way down the hills, hurtling at stupid speeds towards the black bitumen that awaited us at the bottom. To this day I have no idea how a) we didn't shatter more bones, or b) our parents allowed us to do this!!! I found myself a bit lost after Little Athletics. I went and played basketball at a moderate rep level, but it was only a very lucky course of events that brought me back to athletics around the end of high school. 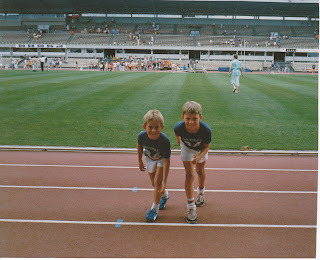 Having said that, these memories of athletics are the purest and most golden of the ones in my mind. Athletics is such a beautifully simple and rewarding sport, even as a gateway of skills towards other sports. It teaches our kids some of the best and most lifelong of attributes as they develop. I urge any parent and any child to do athletics from the bottom of my heart.